Mother’s Day is a day filled with flowers, cards and hopefully appreciation of everything that mom’s do to make your life special. As I found out this year though, as much as we try to fight it as mothers part of our joy is seeing our kids happy and having fun and building memories together. On a day where others show their appreciation, it is a great time to reflect on the how much we appreciate not just the kids we have but the sacrifices made by the mother before us. So as I began to plan my weekend, making memories with the kids that I appreciate was definitely part of my plan. 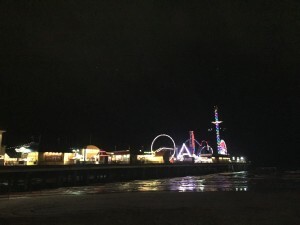 Good for me, Galveston is just a hop away and like that I whisked the kids to Galveston and set off for some adrenaline packed fun at Pleasure Pier. 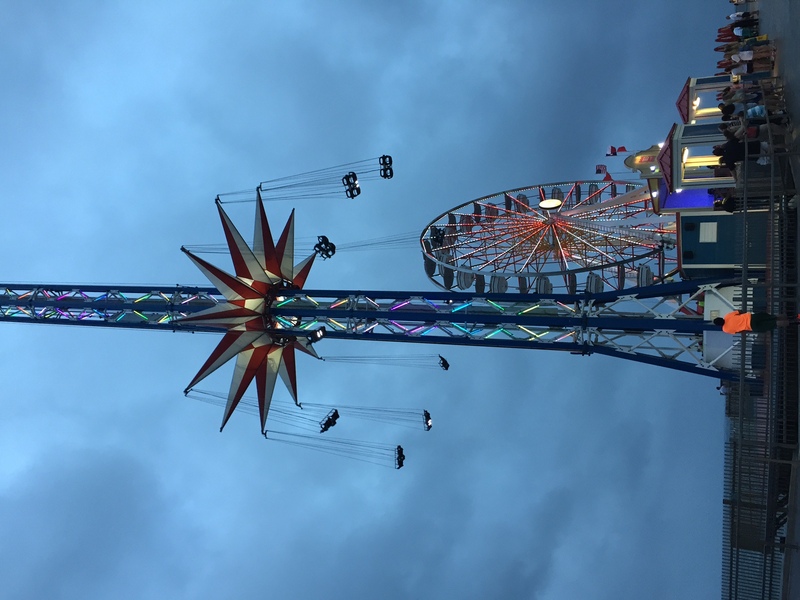 Pleasure Pier does a great job at combining an old school carnival feel with some action packed rides. Without question the best things about a carnival is the food and with such great options is something that mom is sure to enjoy. 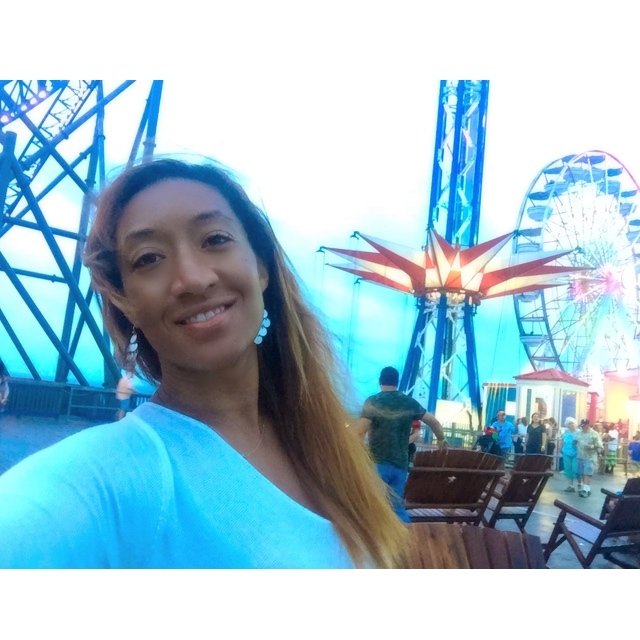 With funnel cakes, turkey legs, banana splits all at arm’s reach it is easy for her to pick her pleasure and proceed in celebrating her special day. If none of those options strike her fancy she is right in the middle of a great selection of seafood delights offering the best the gulf has to offer. Running a close second to the food is the fun. 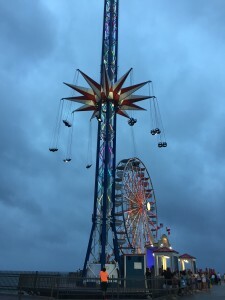 As AstroWorld is a distant memory the roller coasters and thrill rides at Pleasure Pier are some of the closest outlets thrill seekers have as a go to. From giant swings to looping dragons they have a small taste of everything but the fan favorite was definitely the Iron Shark rollercoaster. With a jaw dropping descent the ride was on repeat throughout the day. 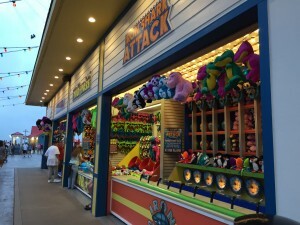 Once you get an all access pass to the pier you can put the rides on repeat so the fun stops only when you do. 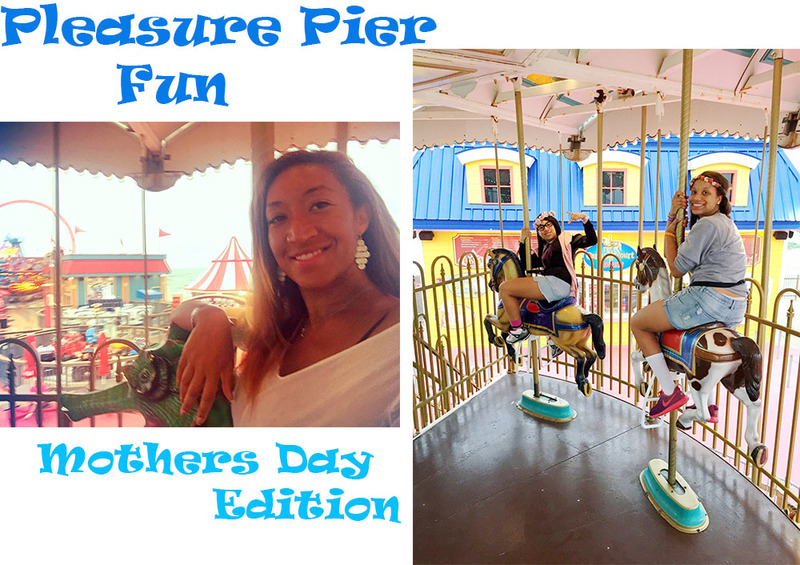 Taking the kids out to Pleasure Pier brought back tons of memories for me of going out to Galveston with my mom. 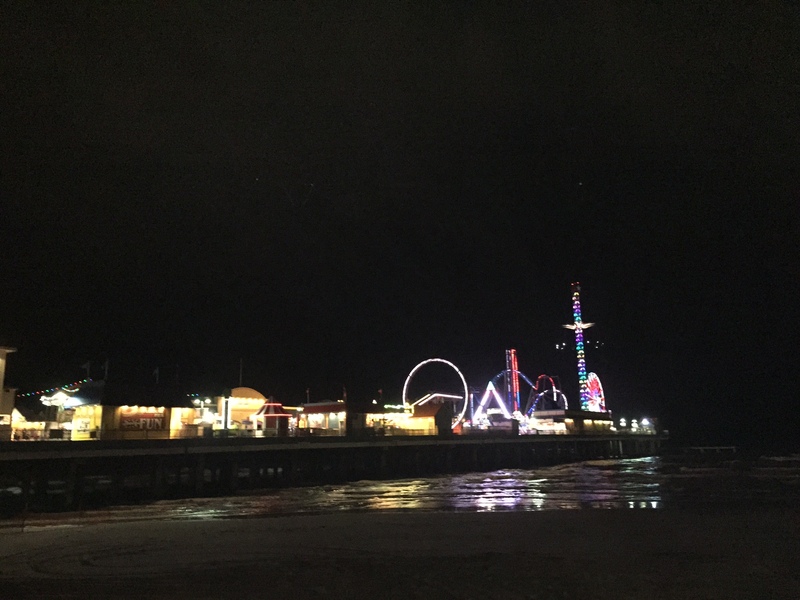 No back then the rides and adventure of the Pleasure Pier was nonexistent but the memories of riding bikes and walking along the boardwalk still stay with me to this day. It is a great reminder of what endures when it comes to family, the memories you build together. 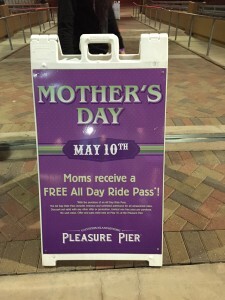 I hope this Mother’s Day, no matter what route you choose is filled with memories that can last a lifetime with your mother or as you mother your children. 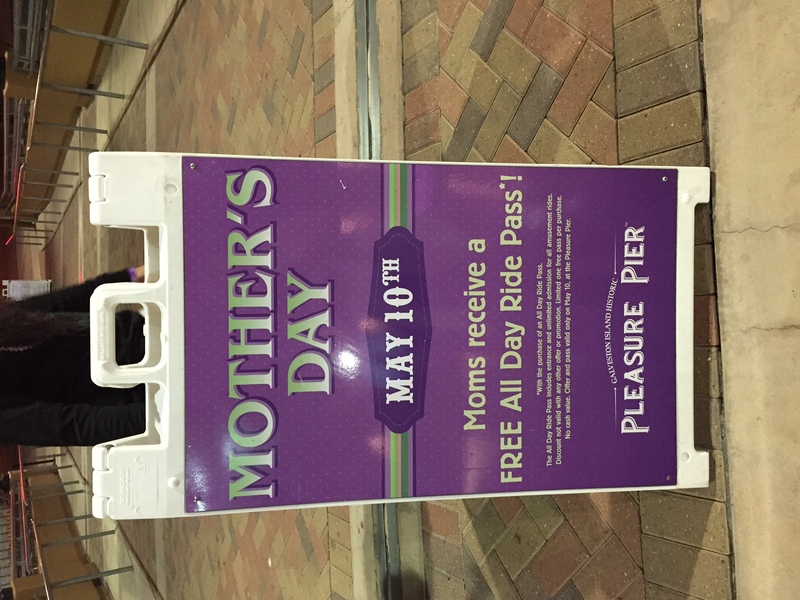 By the way, if Pleasure Pier looks like a pretty good choice then this Mother’s Day they have a buy one get one on passes so you can double the fun with your mom at half the cost!